Loveswept and Flirt are Random House’s digital-only imprints focused on romance and women’s fiction titles. More consumers are reading eBooks than ever before, and we’re looking to the future and seeking to partner with the most forward-thinking and up-and-coming authors to introduce them to an avid new audience of digital readers. Get The Smitten Word in your inbox to learn about new romance titles! Delivered straight to your inbox every Tuesday. Our digital program is centered around your brand; focused on building you as an author introducing you to romance readers everywhere. Our program is managed with the same attention given all of our other imprints within the Penguin-Random House Publishing Group. The process is the same throughout where digital authors will have a complete and unique publishing package. Every book will be assigned to an accomplished Random House editor and a dedicated marketer and publicist. Not only do our authors benefit from working with the finest cover designers to ensure irresistibly eye-catching books, but they are also offered the unique advantage of social media tools and training that will allow them to connect directly with their readers. All of our titles are available for purchase at major e-retailers, and compatible with all reading devices. Our publishers are committed to building a varied, bold, and rich group of authors who are poised to be rising stars in the marketplace. Our top-notch editors have a personal stake in all of their books and work closely with writers every step of the way to deliver the best story possible. Our marketing and publicity team helps authors forge wide-reaching and long-lasting relationships with readers, as well as take advantage of promotional opportunities. With our talented design team on our side, we don’t mind when readers judge our books by their covers. Loveswept and Flirt invites queries for submissions in contemporary romance, erotica, historical romance, paranormal romance, women’s fiction, and new adult. There is no strict word count limit for submissions. There is no strict word count limit for submissions. We are interested in full-length works (40,000 words or more). Firstly, thank you for your interest in Random House! If you’d like to be considered for publication, please fill out the form below. We make every effort to respond to submission inquiries, but we often cannot respond to all; please do not resubmit previously submitted queries, as this may create delays. If we are interested in considering your full manuscript, you will be contacted with further submission instructions. You may present any manuscript in which you control exclusive copyright. We are open to previously-published manuscripts as long as the submitting author now controls all electronic and print publishing rights. At this time, Loveswept & Flirt are not accepting submissions. WHAT ARE LOVESWEPT AND FLIRT? Loveswept is our digital only imprint focused on romance and women’s fiction titles. 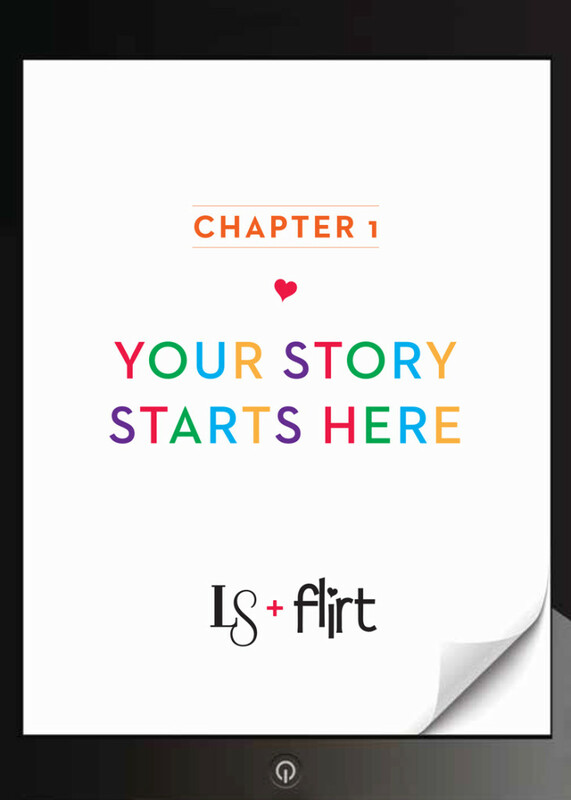 Flirt is our digital only imprint focused on the rapidly-growing New Adult audiences. WHY BECOME A LOVESWEPT OR FLIRT AUTHOR? Under our digital program, authors will have a complete and unique publishing package. Every book will be assigned to an accomplished Random House editor and a dedicated marketer. They will also have the invaluable support of Random House’s experienced digital sales teams, who know how to reach out to and expand each book’s dedicated readership. Not only will authors benefit from working with the finest cover designers to ensure irresistibly eye-catching books, but they will also be offered the unique advantage of social media tools and training that will allow them to connect directly with their readers. To reach the widest possible readership, every title will be available for purchase at major e-retailers and will be compatible with all reading devices. Under the profit share model, there is no advance offered. Loveswept/Flirt and the author will split profits 50-50 from the first copy sold. The term “profit” will be defined as net sales revenue minus deductions as follows: For print editions, deductions will include actual costs directly attributable to production and shipping of the book; for digital editions, Loveswept/Flirt will cover the cost of production. For both print and digital editions, Loveswept/Flirt will cover all marketing costs connected with general, category- or imprint-wide marketing programs. Loveswept/Flirt will also cover costs of marketing activities undertaken specifically on behalf of the book up to $10,000. Title-specific marketing costs above $10,000 will be proposed in advance to the author. If the author agrees, the incremental costs of such title-specific marketing activities over $10,000 will be deducted from sales revenue before profits are split. Cash payments owed to authors will be made quarterly. Under the advance plus royalty model, authors are offered a more traditional publishing arrangement, with Random House’s standard eBook royalty of 25 percent of net receipts. These authors will be paid an agreed-upon advance against royalties, and Loveswept /Flirt will cover production, shipping, and marketing for all formats at 100 percent of cost. I REVIEW BOOKS. HOW DO I GET A COPY OF A LOVESWEPT OR FLIRT TITLE? Loveswept and Flirt have partnered with NetGalley to distribute review copies to professional reviewers, booksellers, and librarians. Registration is free and easy, and you can request review titles in the Loveswept NetGalley catalog. Please note that Loveswept will approve requests on a case-by-case basis. If your request is approved, you’ll have the option of having a secure file delivered to your Kindle, or you’ll be able to download a secure epub file that will work with your device of choice—read NetGalley’s helpful FAQ for more details on how to download. To schedule an author interview or to learn more about getting involved in author chats, blog hops and tours, please contact us at loveswept@randomhouse.com.